Believe it or not, after my last post about the subjunctive I had resolved to take a long break from writing about verbs. But as part of my research I just performed the following summary analysis, which I found so useful that I couldn’t resist sharing it. 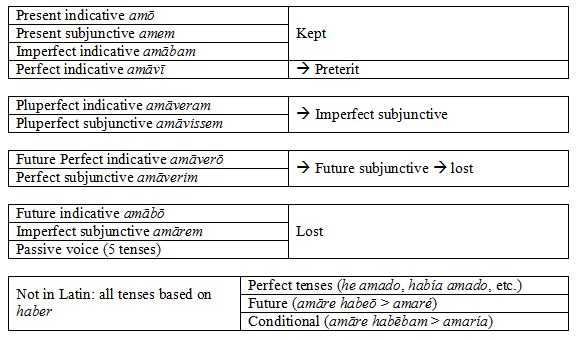 The series of tables below summarizes the fate of the many Latin tenses in Spanish. What’s most interesting is that although Latin had a rich verb system, and Spanish does too, there’s very little direct overlap. The present indicative and subjunctive, and the two simple past tenses (imperfect and perfect), are the only four tenses to survive more or less “as is” in Spanish, though the perfect became a more general past tense (the pretérito). Two Latin pluperfect tenses were adapted as the two versions of the Spanish imperfect subjunctive, and two others as the now-defunct future subjunctive (thereby hangs a future blog post). Seven other tenses were lost. While losing 9 Latin tenses in total, Spanish added ALL the perfect tenses (haber + past participle), and also the future and conditional, which are likewise based on haber. Now I promise to stay away from verbs for a while. 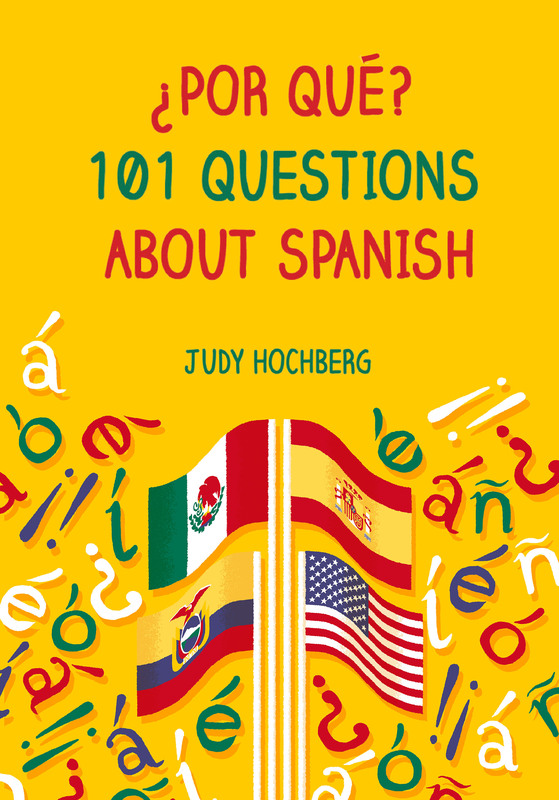 This entry was posted in Latin American Spanish, Verbs and tagged Latin, Latin verb tenses, Spanish, Spanish verb tenses, verbs on 19 July, 2013 by jhochberg.